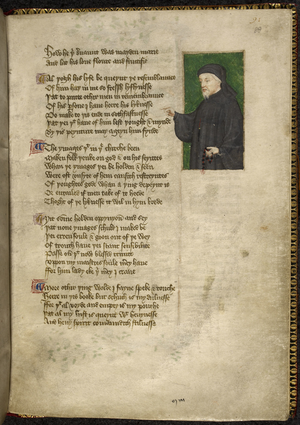 Thomas Occleve aut Hoccleve (natus circa annum 1368; mortuus anno 1426) fuit poeta Anglicus. Knapp, Ethan. The Bureaucratic Muse: Thomas Hoccleve and the Literature of Late Medieval England, Penn State Press, 2001 ISBN 0-271-02135-7. Nicholas Perkins, "Hoccleve's Regiment of Princes: Counsel and Constraint". Novissima mutatio die 6 Iunii 2017 hora 12:40 facta.